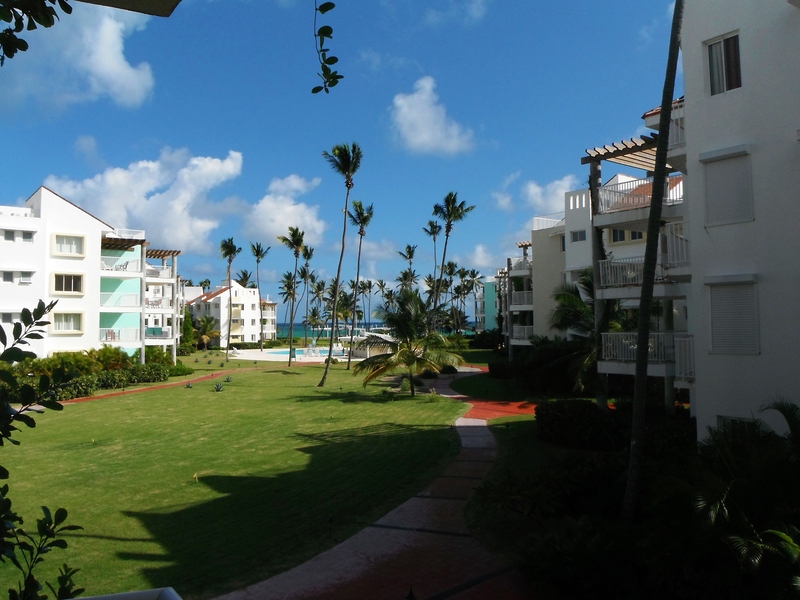 When looking for accommodations in the Punta Cana/Bavaro area, you won’t find yourself lacking for options. Famous for its array of all-inclusive resorts, there’s a place for every budget and need on this stretch of sand. But the idea of spending 4 weeks at an all-inclusive wasn’t appealing to my family and I, so we set our sights on finding a condo to rent. We wanted the flexibility to move around the area and have our own kitchen, but we still wanted resort-like amenities like pool and beach access. We found everything we needed at Playa Turquesa. The pros: On the often-crowded Bavaro beach, we consistently found the stretch belonging to Playa Turquesa not only to be the quietest, but one of the cleanest as well. For a reasonable extra charge we had mostly-reliable access to internet (as reliable as it gets in this country, that is). The pool was immaculate and the swim-up bar a dream. The location was great and walking-distance to several area restaurants, plus a bus stop to reach those farther out places. And we had our own fully-stocked kitchen, living area, and washer and dryer. The cons: We were often awoken in the morning by the dragging furniture of the condo above us. Overall: Playa Turquesa was a great option for long-term visitors like us. If you’re looking for a place to camp out for a while, or if you’re more of an independent traveler to whom the all-inclusive scene does not call to, consider renting a condo on this beautiful property.